Since some of you will be in full holiday shopping mode once Halloween has come and gone, I wanted to share about three of my favorite places to hunt for toy bargains online. This is hit or miss shopping. If you check these places regularly, you are almost guaranteed to find a great deal on something gift-worthy. 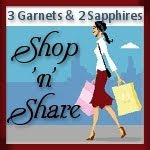 I check these sites all year round and put any treasures I find away for holiday gifts. Isn't it a great feeling to be able to give a $50 gift when you budgeted $20 for it? One of my favorite sites to shop on is DisneyStore.com . They have some really good sales throughout the year and they frequently send me coupon codes for additional discounts. The best time to shop is when these discounts can be used at the Disney Outlet and this only happens a few times a year. I often find great deals on toys and clothing at the outlet. Another online spot I like to shop is the Toy Outlet on Amazon.com . Many times I will go there and not find much a of a selection, but a few times a year, the Amazon Toy Outlet will be packed with deals. These huge toy clearance sales are usually advertised and I always receive emails about them because I'm on Amazon's mailing list. I am so thrilled when I find a cool toy on clearance that also qualifies for Super Saver Shipping. The last place I want to tell you about is the All Aboard Toys clearance section. It is such a fun place to shop because you can shop by licensed character. This site also often runs free shipping or flat rate shipping promotions, as well as occasionally putting the whole site on sale. So are you in the mood to shop now? I certainly am!